1st lesson? Please sit back on the benches and relax. Videos & pictures may be taken on the last lesson of session just prior to end of lesson. Make sure your flash is off as flash photography is a distraction to all lessons. All children under 3 years of age are required to wear 2 non-disposable swim pants. If your child is 3 years old and potty-trained they are required to wear 1 non-disposable swim pant until their 4th birthday. Caps keep hair out of your swimmer's face and out of the water and filters, keeping our pool as clean as possible. Caps also help goggles to stay secure on head. At lesson time your child's name will be called by an instructor in the pool. As quickly as possible scoot your little one out to their instructor, the quicker you can make the exchange the easier it will become. Ages 2 and 3 have the most difficulty, if your child starts to cry, calmly pass them to the instructor; do not let your child stall your departure. It may take a week for them to become accustomed to the routine. If you stay out of their eye view, they will settle, bond with their instructor and soon be swimming like a fish. Hang in there, before you know it they will be walking right into their instructor’s arms! Do not worry, if your child’s crying is too disruptive the instructor will return them to you! Let your child hear how excited you are about his learning to swim, use positive words; “Wow, you should have seen my son in swimming today!” “He is really learning to float!” Words such as “scary, drowning, and deep end” set them up to be fearful. Children learn how to respond to situations by watching their parents; your child will pick up on your positive attitude! Your child may enter & exit lessons from the covered back area or the air conditioned observation room; you are welcome to observe from either area. The Back Area will be open on warm non-windy days. In order to keep our deck clean and prevent distraction please do not cross the deck. Children are to be supervised at all times. All attempts are made to keep the same instructor within a session. If your instructor is absent we will provide a substitute. If we cannot, we will provide another lesson time. If you are going to miss a lesson, call the office, we can then let your instructor know. Please come to as many lessons as possible, as we do not offer make-ups. Please take all of your child’s belongings out of the dressing room during their lesson so that the room may be used by incoming swimmers. During lightning storms lessons will be delayed or cancelled. Do to the inconsistency of storms we cannot predict if your lesson will be on time. We want to have you in the pool within your time scheduled, if not your lesson will be cancelled. If it looks like we will cancel several lessons it will be posted to the FACEBOOK page, please check! Please do not bring glass to the facility inside or out. There is no smoking anywhere on the premises. As a courtesy to others please keep cell phone converstaion outside. Due to environmental allergies this is a fragrance-free facility. Payment for purchased items is to be left at the office on day of purchase. Questions, comments or compliments can be brought to the office; we will pass them on to the instructors. A structured learn-to-swim environment may not be suited for every child. Participation is at the discretion of Kay’s All Swim School staff, if your child is not ready to receive instruction, future lessons will be refunded. Thank you for your cooperation with KASS policies, it makes everyone’s day easier! Lessons fill very quickly; sign up now for continuing lessons. 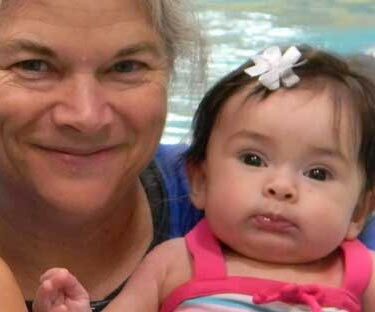 I agree to assume all liability for my children, myself, and my family without regard to fault and further agree to hold harmless Kay’s All Swim School (KASS), owner, or any of the employees for any complications or injury that may result from my child, myself, and my family while attending. I understand that children need supervision around or near water at all times. The registered swimmers have no medical conditions that will affect participation in lessons. I understand there are no make-ups or credit given for missed lessons. I understand the fees & tuition. KASS staff rules and decision are final. I agree that any photos taken by Kay’s All Swim School may be used in advertising without charge or any further permission. KASS staff rules and decisions are final. I have read the Policies & Procedures and understand its content.